Who is ready for SPRING and the BEACH besides these girls!?!? This is Lala, and I must confess I even broke a cardinal rule of fashion last week...I just couldn't take it any longer! I wore white jeans...in FEBRUARY! Couldn't help it. I am dreaming of heat, the smell of coconuts (in the form of Hawaiian Tropic), stinging skin, and fruity drinks. This glimpse of nice weather here in the south has me all excited and Nico and I keep joking that we may have nervous breakdowns if it gets cold again!!! haha! Not sure if you all remember, but we hosted a sip and see here at our house for my best friend Caroline and her second child, baby Will, last Fall that we posted on the blog. It was precious! 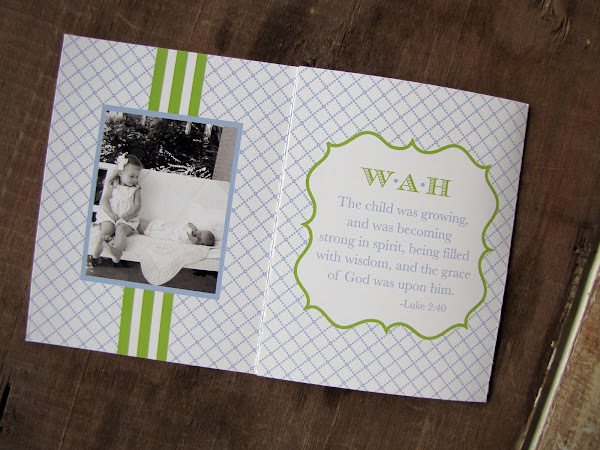 Of course we had the opportunity to work with her on her birth announcements too! 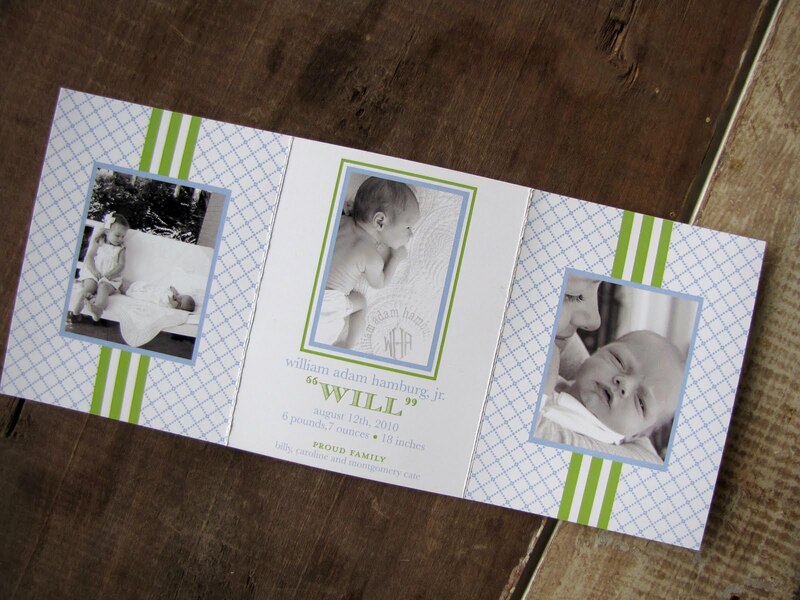 She wanted it to announce the arrival of Will, but also showcase some photos of he and his big sister Montgomery Cate! 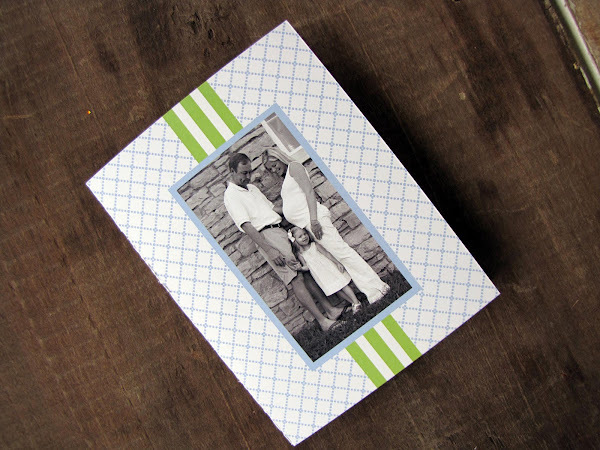 To encompass all of this, we decided to do a tri-fold card! Of course we used some family shots too...they are seriously the most adorable things ever!!! 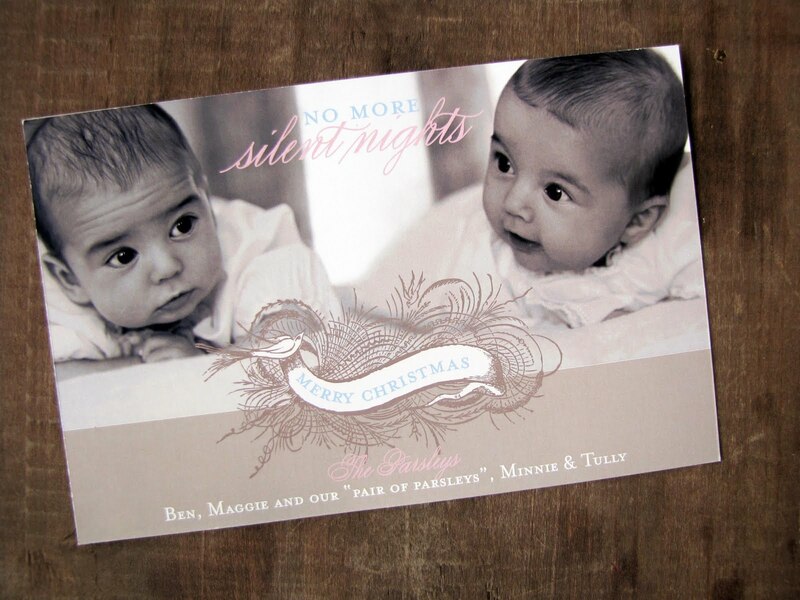 For Minnie and Tully's announcement and Christmas card, we went vintage...and it came our better than even WE expected! I mean, how adorable are the names alone?!?! Minnie and Tully? Does it get any cuter? I think not. 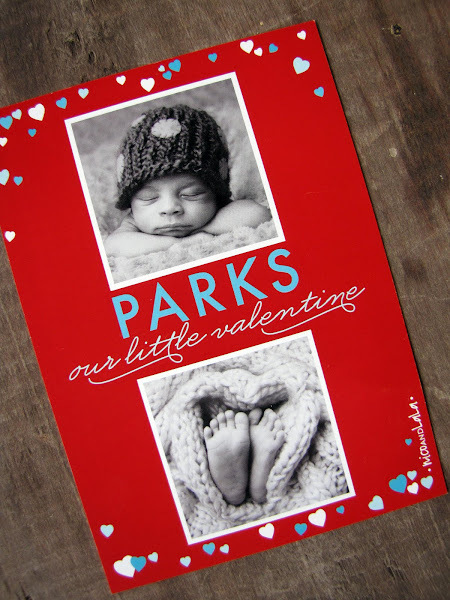 For Baby Parks, it was a very special Valentine's Day birth announcement...some good friends adopted this little bundle of joy and are so thrilled about his arrival and the love he has brought into their world! He could be one of the most adorable babies ever. I cannot wait to meet him and watch him grow! Adoption is such an amazing thing and we are thrilled for the new parents!!!!! And this may be one of our fave birth announcements EVER. LOVE IT. 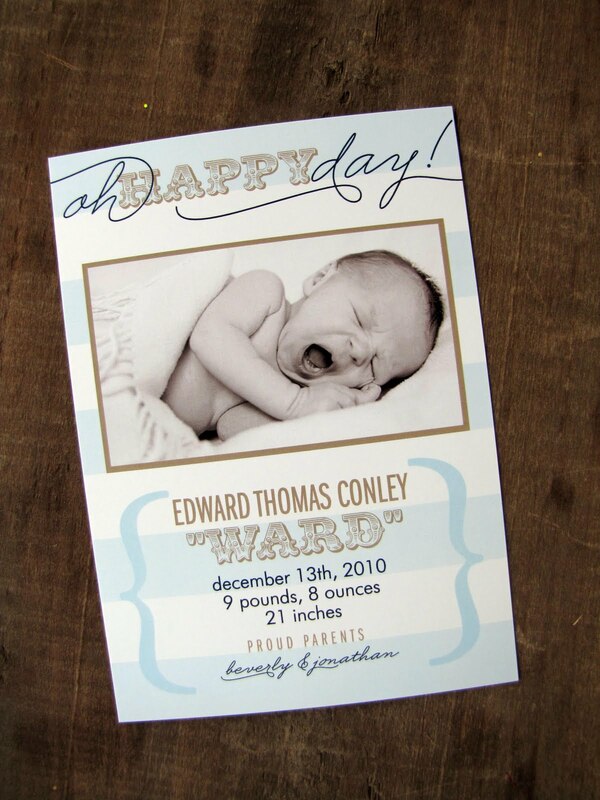 Baby Ward's mom contacted us wanting something swanky and we think we hit the nail on the head for this one! Traditional colors, but with a little bid of a mod look! How adorable is his little mouth yawning!!?!?! And LOVE the name Ward..
Lastly, we have another sweet, sweet bundle of joy. 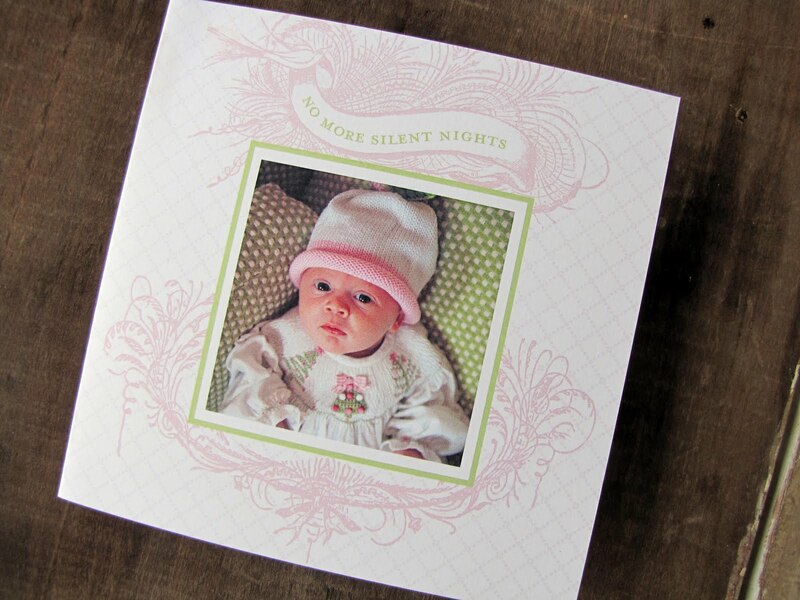 This was a birth announcement as well as a Christmas card and we just love it. Vintage inspired as well, with more traditional elements. 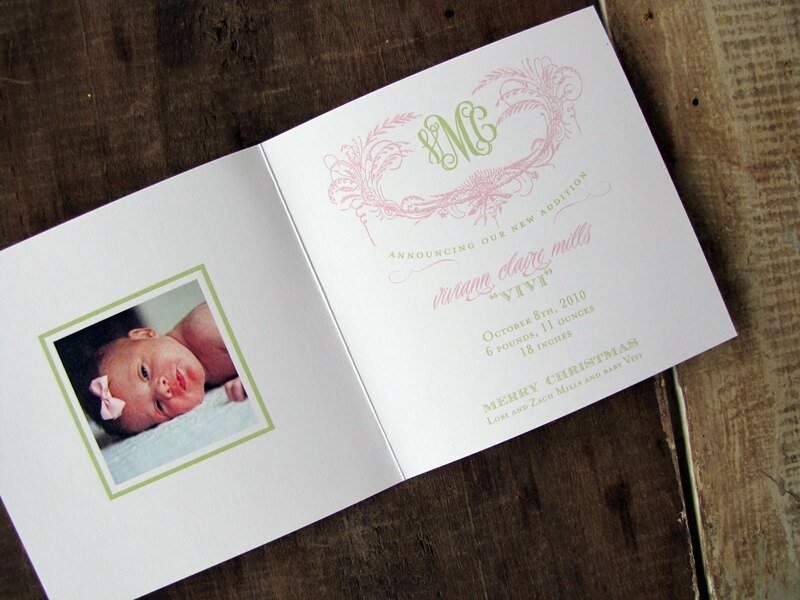 Vivi is precious and we love the monogram and pic on the inside too! SO CUTE!! We loved this one so much it inspired one of our preset boxed birth announcements we are now selling to stores all over the country! Well, this baby, baby blogpost has brightened our day and hope it has yours too! 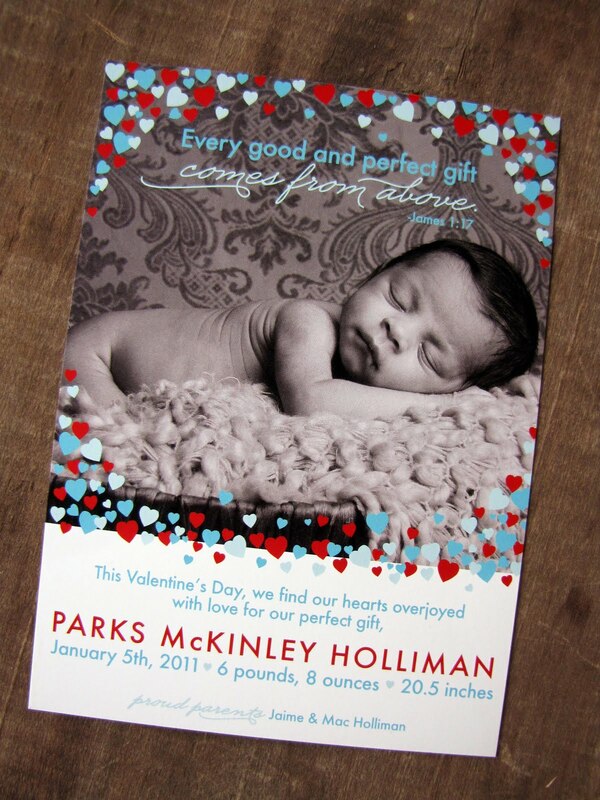 :) If you need a special and swanky birth announcement let us know and we would be glad to help! We can also do matching stationery to your announcement so you can be extra swanky when writing all those thank you notes!!! Spring will be here before we know it and Nico and Lala are counting down the days!